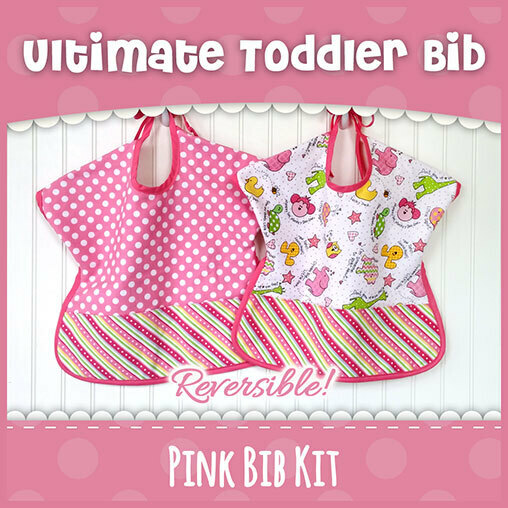 Create an oh-so-sweet bib for your toddler with the Ultimate Toddler Bib Kit! 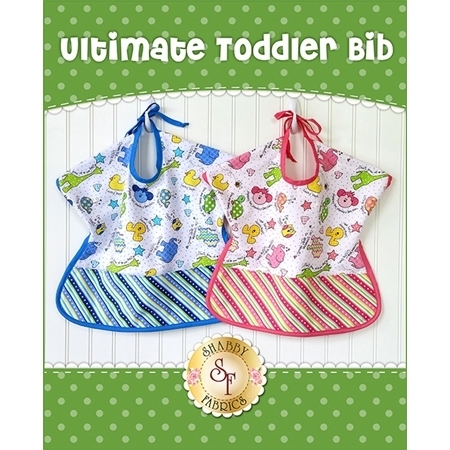 These reversible bibs feature two 5 inch pockets, playful animals on one side, and fun polka dots on the other! Video demonstration project. Follow along with Jen in our “How to Make the Ultimate Toddler Bib” video for additional guidance on making this bib. Bib finishes to approximately 18" x 14" with two 5" pockets. Purchase the printed pattern with full-color photo instructions & a full size diagram to your order below. 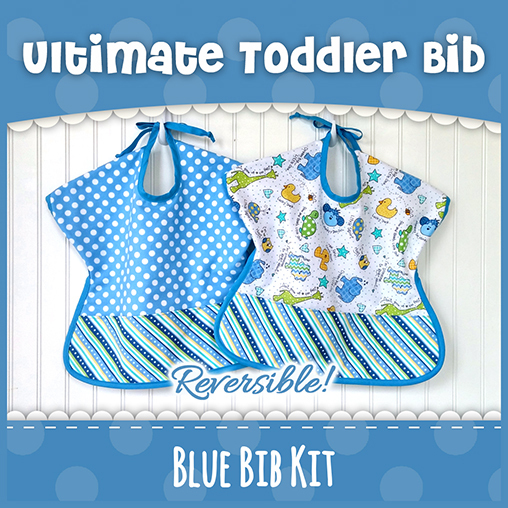 If you will be making multiple bibs, we highly recommend purchasing the pattern. Add any of our darling Shabby Shapes for that extra special touch and customization. Spell out a name, add a cute elephant or perhaps a lion -- the possibilities are endless! Video Guided Project: Kit includes flannel fabrics and bias tape. For instructions on how to make this bib, add the Full Color Pattern to your order or use the Free Download Diagram and follow along with Jen in our “How to Make the Ultimate Toddler Bib” video!